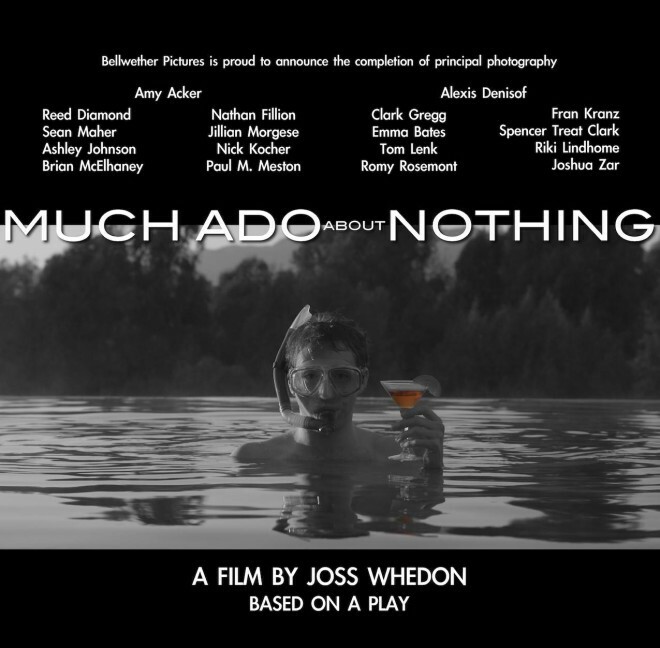 Surprising and somewhat puzzling news hit the internet last night when actor Nathan Fillion tweeted a link to a website promoting the completion of principle photography for Much Ado About Nothing , which appears to be an adaptation of the Shakespeare play. The site suggests Joss Whedon has adapted the play for film and directed it with a cast of actors seen many times in his other projects, including Fillion ( Dr. Horrible’s Sing-Along Blog ), Amy Acker ( Angel ), Alex Denisoff ( Buffy the Vampire Slayer ), Sean Maher ( Firefly ) and more. Fans were sent into a frenzy of speculation because there was no other information about the project to be found online, and since Whedon is currently busy shooting the big-budget Avengers movie, it seemed hard to believe that he could take the time out to shoot another film at the same time. But the information started to flow this morning when an actress who served as an extra on the film blogged some of her experiences. Much Ado appears to be another guerrilla-style shoot, not unlike Whedon’s cult-hit Dr. Horrible’s Sing-Along Blog , which he put together with friends and family over a couple of weeks during and after a Hollywood writers’ strike. That’s right, in the midst of Joss‘s work directing The Avengers (which still isn’t completely finished), Whedon managed to film Much Ado in its entirety for release (I am presuming) sometime next year. If the suggested time-frame for release is right, we won’t actually see the film for a while. There are no details yet on how it will be distributed, but we can assume that Whedon could use the same direct-to-consumer model that worked so well for Dr. Horrible . 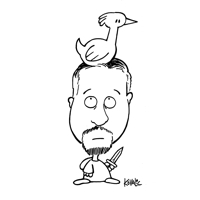 Whatever the case, his fans are primed and eager to see what Shakespeare looks like in the hands of their geeky hero.